Categories: Johnson and Jeff, Wild Bird. black sunflower, red dari, natural groats, millet, cut maize, wheat, various small seeds, vegetable oil. 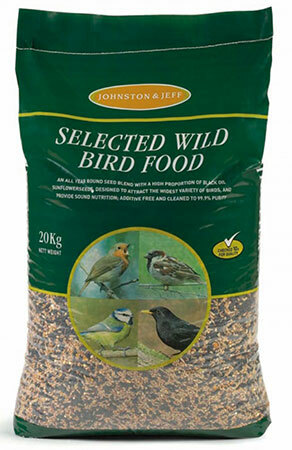 Designed to attract the widest variety of birds possible while using one type of feed. Contains small seeds as well as cereals plus vegetable oil to increase feeding values. Does NOT contain cheap fillers such as whole oats which have little nutritional value. Excellent for hanging feeders and can also be fed from a table. 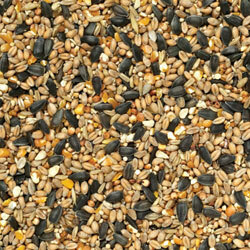 If two feeding points are used (feeder and table) then there are very few birds which will not take this mix.